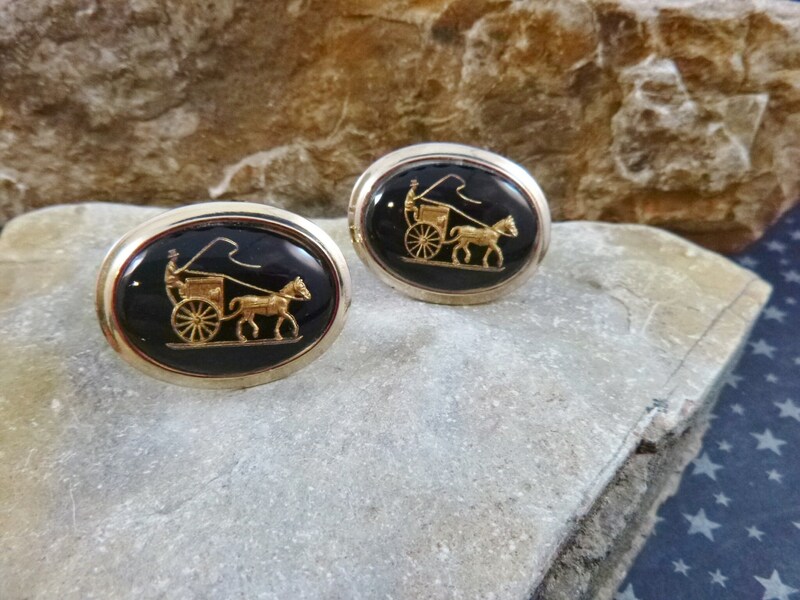 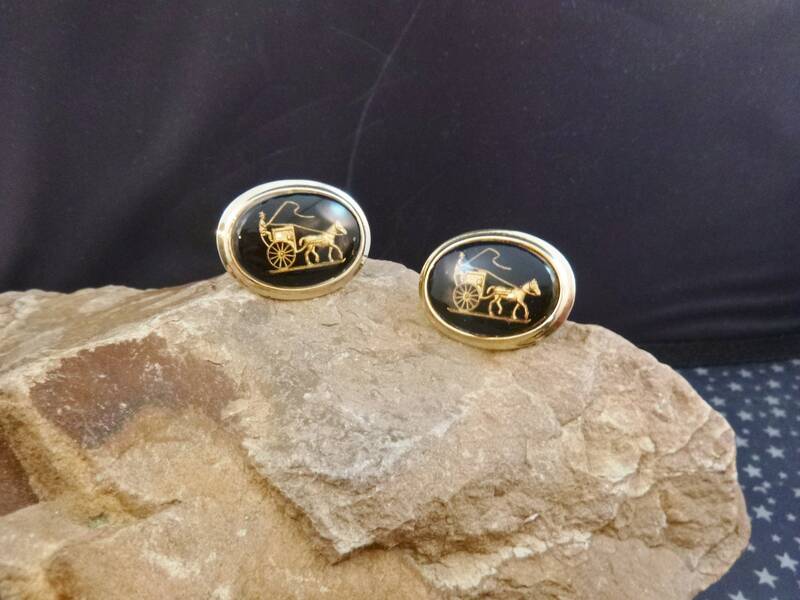 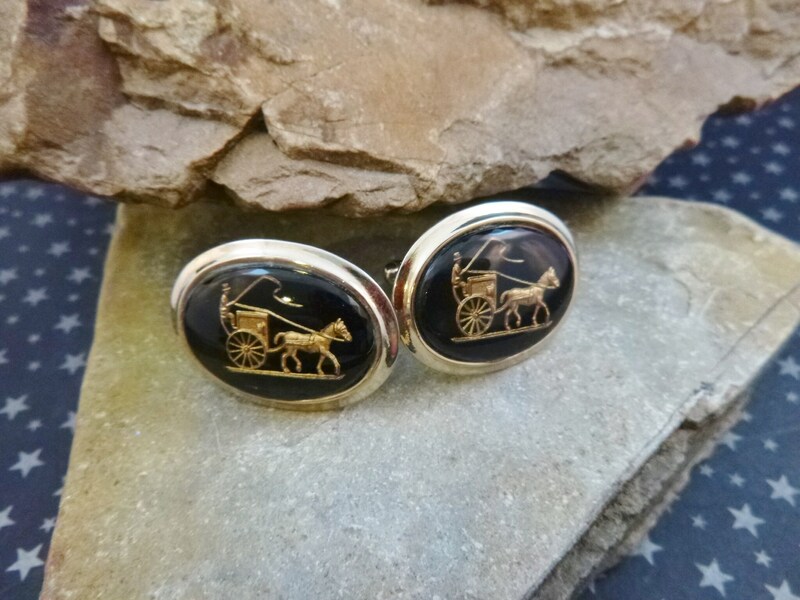 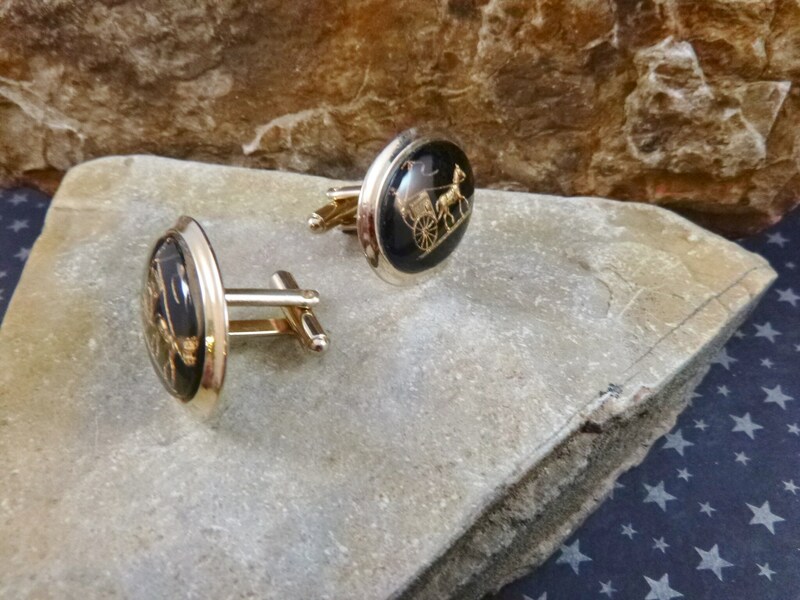 While vintage shopping in the Midwest I found these old fashioned oval cuff links with a horse, carriage, and driver. 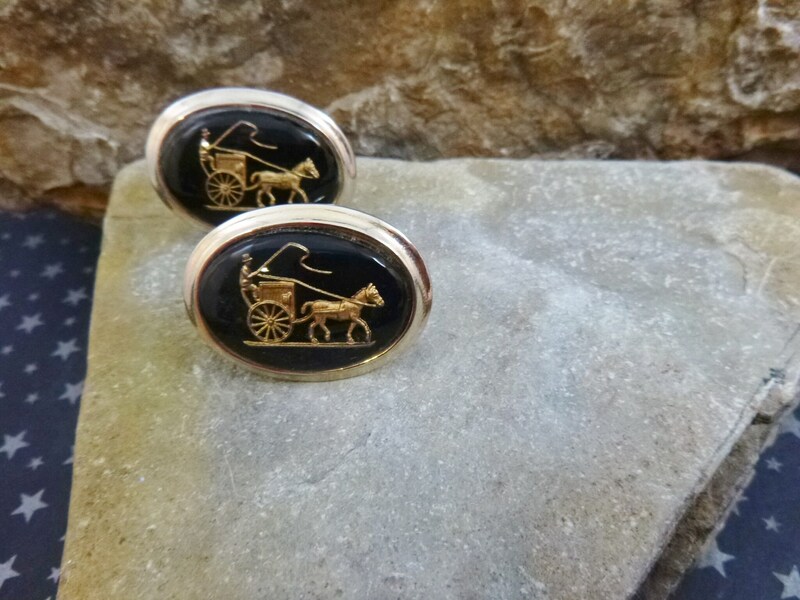 I found their before cars look charming, with the sense of simplier times. 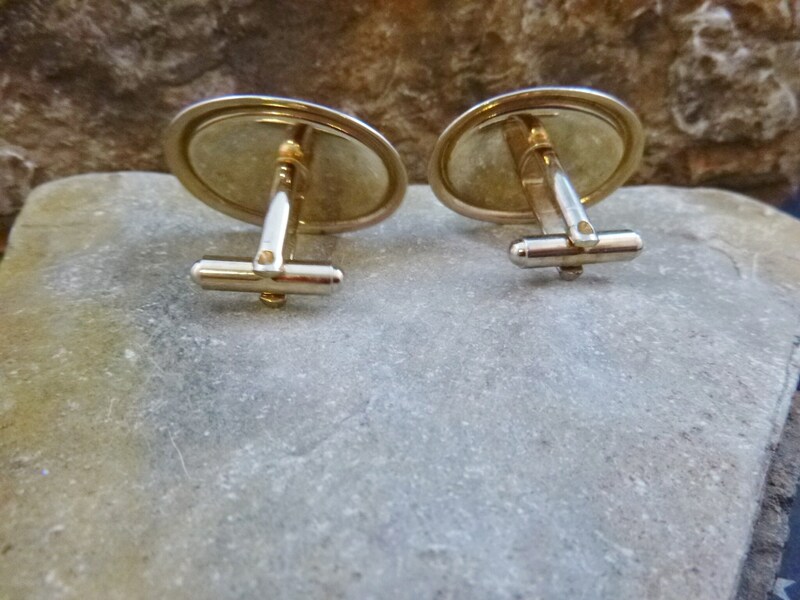 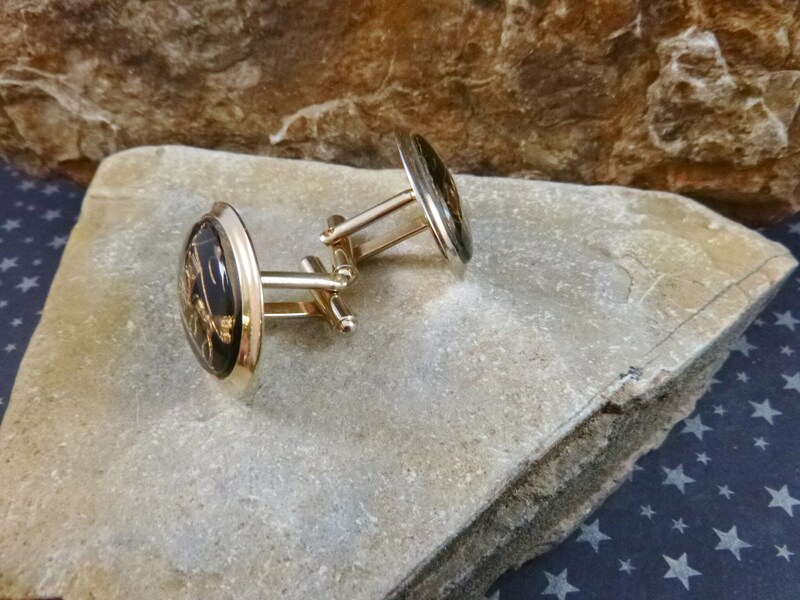 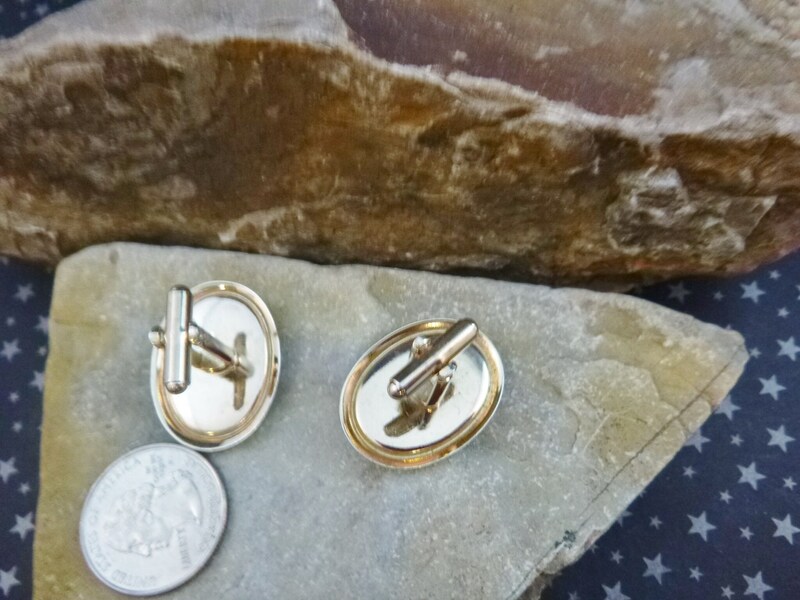 The oval face of the cuff link is on the larger side, measuring 1.25” long and 1” wide.